As the Channel Marketing Specialist, you will be responsible for working with channel technology partners to execute regional programs to drive awareness, increase sales alignment, and achieve overall performance goals for product resale, professional services, and solution sales in the region. In this capacity, the role will have national performance management responsibilities for select partners, working with the Director of Partner Management to track and report on partner performance metrics related to sales, rebates, and MDF utilization. The role will also act as an extension of the marketing team to define and execute promotional strategies for Kudelski Security. Coordinate of all aspects of the Kudelski Security relationship with select partners and execute overall partner strategy in defined territories. Work with partners to identify new areas of opportunity for Kudelski Security growth and mutual success. Facilitate/negotiate improved resale margin, rebate, MDF, and other transactional terms. Work with Sales, Marketing and Partner teams to plan field engagement and promotional programs. Provide regular communications and reporting to Partner Leadership and ensure cross functional teamwork and communications through the company. Meet monthly with regional CAMs for identified target partners (varies by region). Coordinate regional QBRs between target partners and KS sales leadership to review sales performance, marketing activities, and progress with existing regional business plan. 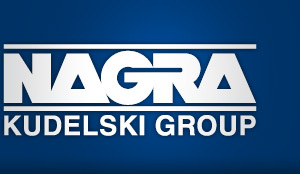 Attend regional partner events to serve as a champion for Kudelski Security. Responsible for ensuring that marketing generated leads get the prompt action and nurture to develop into product sales. Maximize deal registration opportunities by communicating incentives to sales and sales ops on the latest programs, investigating pipeline, and communicating regularly with partner resources. Maintain a pipeline of top opportunities within region and assist sales with driving the business to closure with maximized profitability, deal registration, and identified cross-sell/services opportunities. Track certifications with regional sales and technical resources to maintain partner certification requirements and identify additional areas of specialization. Coordinate weekly with Partner Team to ensure alignment with national strategy. Identify marketing opportunities with target partners and relevant eco-system partners. Coordinate with broader Marketing team to ensure alignment on programs, campaigns, and MDF utilization. 2+ years channel marketing experience. Knowledge and understanding of manufacturer, reseller, and solution provider ecosystems and the dynamics of the supply chain from vendor to customer. Working knowledge and/or experience in selling solutions to channel companies. Must be proficient in use of Microsoft Word/Excel/Outlook. Proficiency in common CRM tools, Netsuite preferred. Knowledge of Marketing Automation tools strongly preferred. Experience and knowledge of the IT / Security Infrastructure market and competition a plus.